Caffeine supplements are extremely cheap, yet highly effective pre-workout products. …All without the hassle of brewing or drinking any coffee! Just one little caffeine tablet contains the caffeine content of a 12 oz. cup of strong coffee (200mg). …We only care that they work. And, indeed, they do work. After all, caffeine is a main ingredient in many popular pre-workout powders. It’s just that taking pure caffeine as a workout stimulant is such an obvious idea that many weight trainees never even consider it. On this page, I’ll discuss caffeine, its benefits, its side effects and whether supplementing with it is a good idea for you. I’ll also provide dosing guidelines and tell you my top two recommendations for the best caffeine supplements. Are Caffeine Supplements Right for You? Did you know that caffeine is the world’s favorite psychoactive stimulant? That’s right. Caffeine – the stuff in your coffee, tea and soda – is actually a full-blown, raging drug! You junkie, you. But of course, I’m just being sensationalistic. 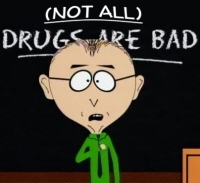 As most people realize, not all drugs are bad, mmm’kay. Scientifically speaking, caffeine is a xanthein alkaloid. This is just a fancy name for a specific class of chemical compounds, which have similar molecular structures and function as mild central nervous system stimulants. They also act as bronchodilators, but that’s beyond our focus. Caffeine is a natural compound found in coffee and cocoa beans; guarana berries; kola nuts; as well as tea, yerba maté, yaupon holly and guayusa leaves. People have been enjoying its energizing and uplifting effects for many thousands of years. Obviously though, ancient folks weren’t taking caffeine tablets. The brewing of tea wasn’t “discovered” until as late as 3000 years ago in China. And the brewing of coffee most likely wasn’t around until the 1450s AD, if not later. Caffeine, itself, wasn’t discovered until 1820, when a German chemist isolated it from coffee. Without knowing it had been done already, a few French chemists also made the same discovery the very next year. So you can thank everyone – from the 19th century chemists to your cave-dwelling stone age ancestors – for promoting the use of caffeine and discovering evermore convenient and efficient means for its consumption. $ave Money. As far as energy products go, pure caffeine gives you the best bang for your buck. If you buy caffeine in tablet form (the cheapest/most convenient form of caffeine), then you end up paying an itty-bitty 5 cents per 200mg serving. Not too shabby, eh? You’ll have some money left over to load up on real, nutritious foods. Get Amped & Focused. Caffeine fills you with energy. Obviously this makes you more energetic, but it also heightens your alertness and ability to focus. You can zero-in on whatever task you set out to do. In our case, that would be working out. Your mental energy is concentrated on performing lifts with precision and tenacity. Distractions blur into the background, or disappear altogether. Perform Better. Better mental focus, as mentioned above, obviously plays a role in performance. However, the performance enhancing benefits of caffeine extend beyond the mental realm. It affects you physically, too. It not only delivers a profound rush of energy, but it also delays muscular fatigue. This gives you noticeably better endurance and stamina. In application, the result is that you can pump out a couple more reps during a set (using moderate weights/reps; not extra heavy weight/low reps) than would otherwise be possible, before the delayed fatigue response sets in. Get Shredded. Caffeine elevates the amount of epinephrine (i.e. adrenaline) circulating in your system. This, in turn, increases the rate of lipolysis, or fat mobilization. Fat mobilization refers to the process whereby free fatty acids break away from the larger triglyceride molecule. This raises your body’s levels of free fatty acids. The increased levels of free fatty acids leads to a higher rate of fat oxidation, or the “burning” of fat for energy. If not for the caffeine, you would be relying more heavily on glycolysis, or the use of glycogen (a carbohydrate-based energy store), for energy. Thus, caffeine enables you to burn more fat. Burn Calories. In the previous bullet point, I already discussed that caffeine causes your body to burn a greater proportion of fat for its energy needs. But on top of that, caffeine actually causes you to burn more total calories. It does this in two different ways. First, it speeds up your metabolism. And second, it raises your non-exercise activity thermogenesis (NEAT), which refers to extra calories burned because the caffeine makes you move around more (e.g. tapping your foot, fidgeting, pacing, etc.). A double whammy. Tame Your Appetite. Caffeine has been shown to suppress appetite. You can use this as a strategic tool for blunting hunger and limiting daily caloric intake. This is especially helpful on a cutting diets. However, it’s also useful when bulking because it can prevent overconsumption and fat gain. As your caffeine tolerance grows, however, the appetite suppressing effect unfortunately dissipates. Save Time. 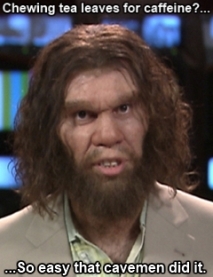 Taking a caffeine tablet takes about one second. Simply pop a pill into your mouth and wash it down with a gulp of water. Done. Compare this to the time it takes to brew a pot of coffee, pour a cup, wait for it to cool down and finally drink it. 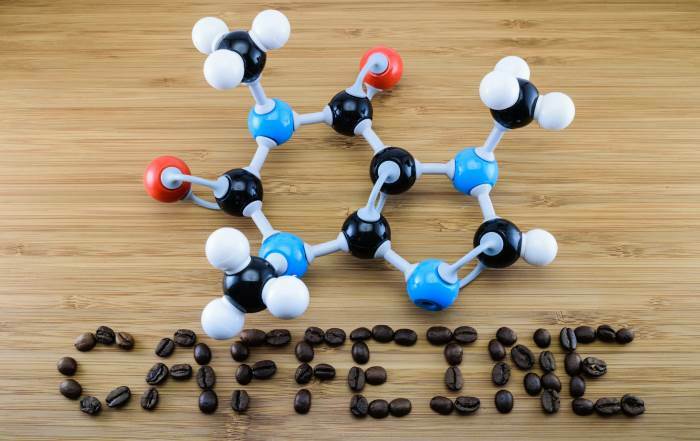 Health experts, almost unilaterally, agree that caffeine is a safe substance. This is a consensus echoed by major health organizations; like the Food and Drug Administration (FDA), who has given caffeine the GRAS (generally recognized as safe) designation. Again, these are potential side effects. At that, they are generally mild and usually only occur due to excessive consumption. They are always temporary in duration. Furthermore, most people who only take moderate amounts will experience no noticeable side effects. If you’re highly sensitive to stimulants, then it may be easiest to just avoid caffeine altogether. If you want to try anyway, do so mindfully. If you workout before sleeping, then the obvious solution is to change your workout time. If this is not possible, then you should not use caffeine. It will keep you awake at night, thus disrupting your recovery and hampering your overall progress. …Actually, it’s a good idea for all people to check with their physicians before taking a new supplement. See my full disclaimer. Most caffeine tablets contain 200mg of caffeine per tablet. Too Big? If 100mg is too much caffeine to handle (unlikely, though possible), then cut your serving size to just 50mg. Just Right? Maybe you got lucky. If 100mg provides just the right effects, then simply continue taking that serving size. Once you find your optimal serving size, you can take it for a while and still be able to enjoy enhanced workout sessions. However, you will gradually develop a tolerance to caffeine. The easiest way to combat an increased tolerance is simply increasing the serving size (e.g. by 1/4 of a tablet, or 50mg, each time). It’s fine to use this method a couple/few times. However, you can increase your serving size so many times before you end up having to take large quantities to achieve the same effects. To limit the possibility of encountering side effects or developing a very strong dependency, don’t exceed 300mg if you’re (more or less) an average-sized lifter; or 400mg if you’re bigger. There is an effective way to deal with your caffeine tolerance once it reaches such a high level. That is to dramatically reduce, or eliminate, your caffeine intake for at least a week. This will lower your tolerance noticeably, allowing you to take less caffeine than before while still achieving its desired effects. As when to take the caffeine, my advice is to do so about 20-30 minutes before your workout. This gives it enough time to get into your system and start working its magic. As a general rule, avoid caffeine supplements within 6-8 hours of sleeping. Caffeine close to bedtime can cause insomnia, or at least interfere with optimal sleep patterns. Do note, however, that 6-8 hours is a general rule – some people can sleep like a baby if they take caffeine 3 hours before bed, while others may still have trouble falling and staying asleep if they have caffeine within 12 hours of their bedtime. I’ve used both of these caffeine supplements before, and each works like a charm. If you enjoyed this post, be sure to check out my articles on other weight lifting supplements.